If you're looking to reclaim your power to transform your health, then you've come to the right place! 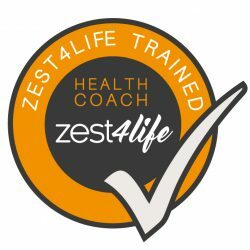 I'm Rebecca Tucker, a Registered Nutritional Therapist and Health Coach and I love to help busy ladies look and feel fantastic through offering nutrition, health and lifestyle coaching. Join our tribe to receive regular inspiration or work with me on a one-on-one basis to get the results you've been dreaming of! Whether you are lacking energy and vitality, or want to improve a specific health concern, I can help! If you'd like support with any of the areas below, click on the image to find out more about how I can help. You have the potential to feel amazing every day and I want to show you how. I’m excited to announce that I’ll soon be launching a brand new blog! There’ll be nutrition advice, insights and stories that will help you learn more about the amazing benefits of good food. Join our tribe to be the first to know when the blog is launched.